The real site of the Battle of Barnet…? The excellent BBC series Digging for Britain, Series 5, the episode concerning the east of Britain, presented by the equally excellent Dr Alice Roberts, contained a section on the Battle of Barnet, 1471. Why is it that an accepted site for a battle so often proves to be the wrong one? Bosworth is a prime example, of course, but it seems the Battle of Barnet was another. Apparently it has always been thought that the battle took place where the town of Barnet is now, yet there was never any proof. So the discovery of some 15th-century cannon balls in fields outside the town had the local detectors out in force. Accounts of the battle describe it as having taken place in a hollow in the landscape, and the area of the fields fitted the bill. Standing in the middle and panning his camera around in a circle, one of the searchers showed how the land rose gradually all around. He and his fellows searched and searched, only finding things that might have had nothing to do with the battle, but then (in a style that brought Time Team to life again!) right at the eleventh hour a final detector happened upon something more substantial. They did not know if it was from horse harness or perhaps male clothing, although it was a little heavy for that. Various other finds convinced them they had found the true site of the battle. But it seemed curious that Edward IV, arriving on the scene with his battle at the end of the day, should choose to place himself in a dip. Surely that would be inviting trouble? Especially as he did not know exactly where the Lancastrian army was situated. But, the Lancastrians didn’t know the exact whereabouts of the Yorkists. Battle commenced in at dawn, in fog, with the Earl of Warwick, in command of the Lancastrians, firing his cannon where he thought the Yorkists were. But he couldn’t see them because they were low down, and his cannon balls went harmlessly over their heads. Edward, on the other hand, kept his cannon silent, in order not to give his position away. It became a bloody affair, with the Lancastrians mistaking one of their own, the Earl of Oxford, whose badge was a star, for Edward IV, whose badge was the sun in splendour. Warwick was killed in the rout that followed. So, was Edward IV a brilliant tactician in choosing the site he did? Or was it pure chance? We will never know. See this previous post or this one. Go here to see some of the programme itself. 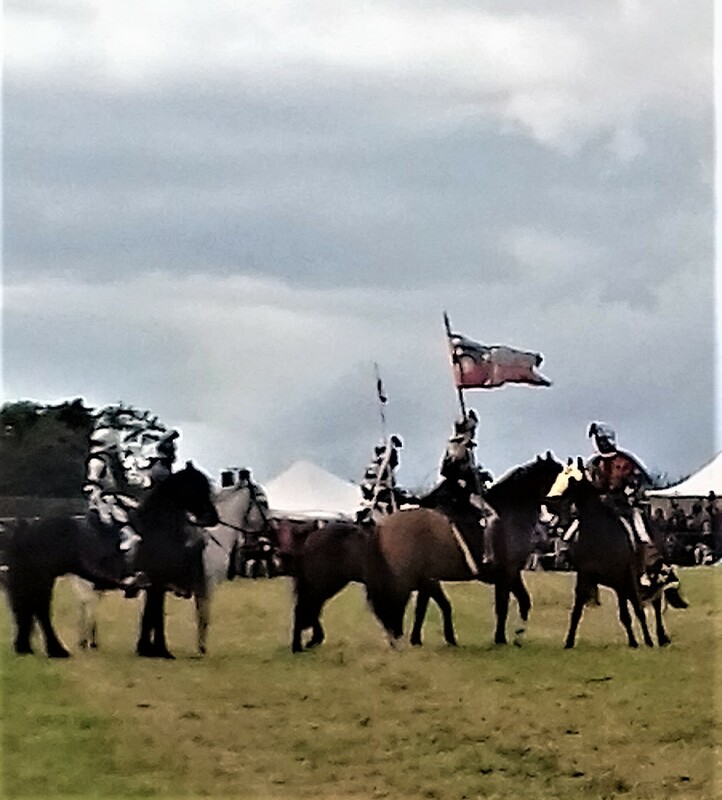 The extinction of the Bosworth Jumble….? Yes, I had heard of the Bosworth Jumble biscuit, but never sampled one. Now, it seems, I may never taste one, because they are an endangered species. Rally around, folks, see that the Jumble is saved for posterity. Eat Jumbles regularly, maybe make your own – taste what Richard may well have tasted!